Plenty of people go to Best Buy to purchase their new phones, and it would seem that many of them have been heading to the big blue box to buy a Palm Pre. If you were to head over to the Best Buy mobile phone website and drop down to the Best Selling section, you’d see this odd little phone called the “Sprint Palm Pre” sitting atop the heap. Thanks to David for the tip! 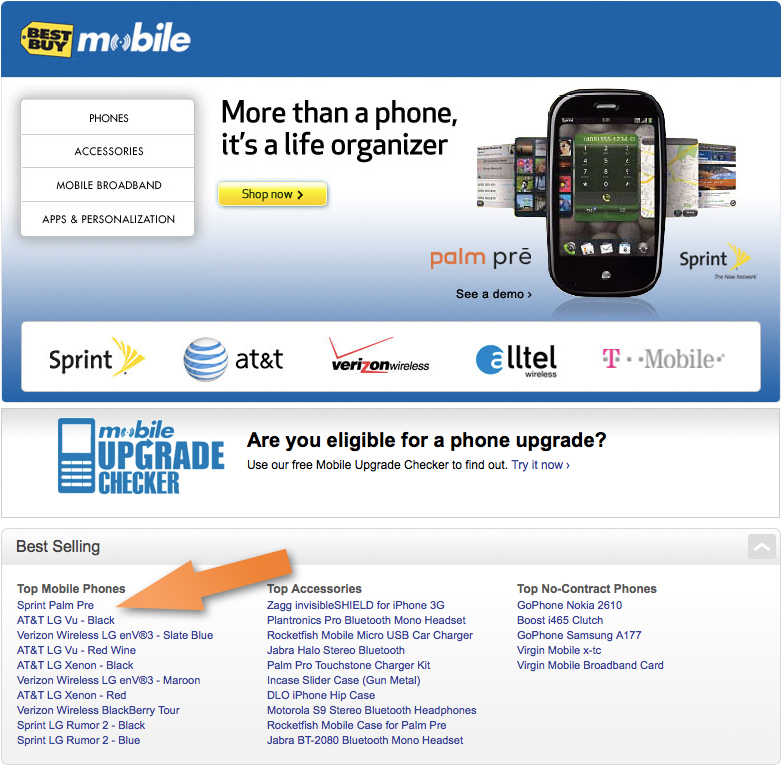 Of course, it probably helps that the Pre very recently saw a considerable price cut and that Best Buy Mobile customers don’t have to deal with the silly mail-in-rebate you get when buying direct from Sprint. Oh, and that big Palm Pre header you get in the mobile phones section likely doesn’t hurt. Still, it’s nice to see the Pre sitting atop at least one retailer’s sales chart, especially one that sells pretty much every phone on the market. Meanwhile, mtesm lets us know that Best Buy's listing for the Palm Pre on Canada's Bell Network currently pegs the Pre at $150 Canadian, a full $50 less than Bell's official price. Best Buy says that the "sale" ends on Sept 24th, but we're wondering just how long Bell can continue to charge $50 more than what Sprint is charging.